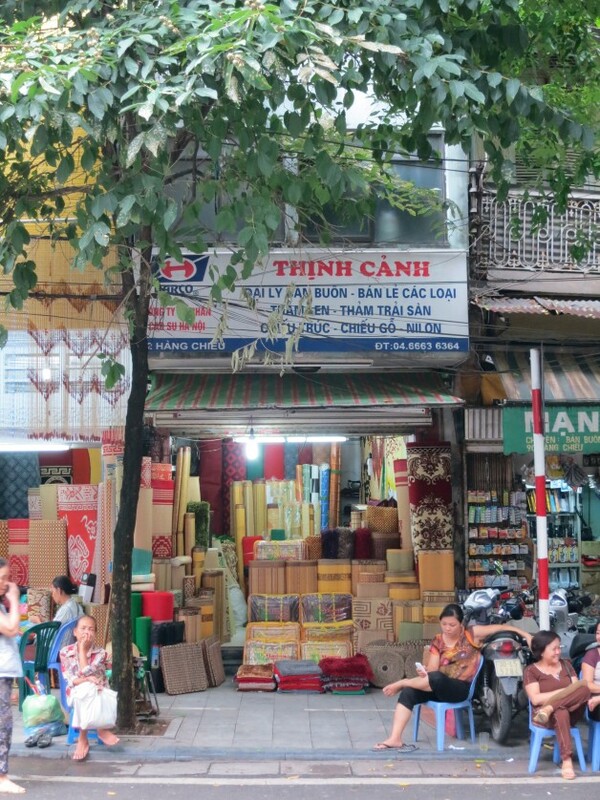 Now, many – most – of the Hanoi shop-fronts have a roller door. Bad? Just like in a shopping centre, a roller door permits 100% shopfront activation. If you have glass panels and doorways – as most of us do – it seems you are creating more barriers between the public and private realms. OK, so ‘roller shutters’ are taboo. We know that. Some localities actively ban them – others are trying to back-fit their cities to rid themselves of them. Opportunity! We need roller doors that are acceptable when in closed position. See? I should be rich. Retailers have enough to worry about – activating the community in your city, for example – so the last thing they should have to do at 2am is wake up because someone smashed their front window. This is why they like roller doors. Because they just want to focus on growing your community and economy, and no customer or local authority is going to help them (either in time or money) to repair their constantly-scunged-up shopfronts.